I memorized this verse in Sunday School when I was a child. I can remember reciting it exactly as it is written, with a pause after Wonderful because there’s a comma there. Modern translations of the Bible omit this comma and use one title, Wonderful Counselor. For some reason, though, I still want to separate the two because…well…I just can’t help it…I like to think of Jesus as just plain Wonderful. I looked this word up in the Blue Letter Bible to get the exact Hebrew definition and it means simply this: extraordinary, hard to understand; or something admirable, a miracle of God. Another source claimed a deeper meaning: incomprehensible! To compare this definition I checked my online dictionary and found the word to mean: inspiring delight, pleasure, or admiration; extremely good, marvelous. How does the song go? “It’s the most wonderful time of the year…” I think Andy Williams made it popular back in the sixties, but I don’t think the song speaks at all of the birth of our Savior. It speaks of the merriment that accompanies the Christmas season, the parties, the food, friends and family. All these things are wonderful, yes, but somehow I think this word has been greatly downgraded in comparison with Isaiah’s description of Jesus. Jesus is extraordinary. His heart is sometimes difficult to imitate. He’s a marvel of God. I wonder at His radical teaching and His remarkable testimony. I am blown away by His marvelous mercy and His matchless grace. I celebrate His abundant goodness and His abounding love. I am delighted in His exceptional forgiveness and His excellent kindness. Jesus is incomprehensible. His ways are sometimes hard to understand. He’s a miracle of God. 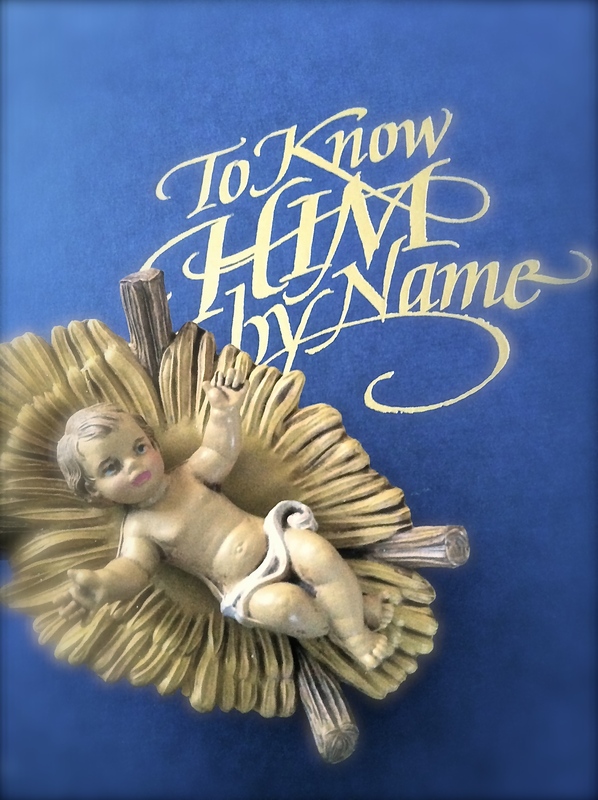 I wonder at His holy conception and His humble birth. I am blown away by His compassionate healing and His sympathetic helping. I celebrate His triumphant resurrection and His jubilant ascension. I am delighted in His powerful presence and His perfect guidance. This is the Jesus I call Wonderful and I want to remember the wonder of Him in all that I do this Christmas season. For every party I may attend I’ll remember Jesus because He’s all about celebration. For every person I may entertain I’ll remember Jesus because He’s all about relationship. For every patch I may decorate in my home I’ll remember Jesus because He’s all about beauty. For every place I may shop I’ll remember Jesus because He’s all about giving good gifts. For every pie I may bake I’ll remember Jesus because He’s all about feeding the hungry. And then I’ll remember that there’s a pause after Wonderful because the name of Jesus is the name above all names and wonderful isn’t just a word, it’s who He is and that’s something to celebrate. Wonderful post , thought provoking as usual , as a philosopher I have always admired wonder in people to me the word meant that people were open to learning , finding out new ideas , discovering , thinking and the word holds so much promise to me that we are a thinking , exploring , people. A child’s wonder at the world to me is the most authentic , it is that wonder and curiosity and thirst for knowledge in the mind of a child not yet hindered; by the beliefs society will soon bestow on them that is the most wonderful wonder, now your post has further added to my understanding of that word and I think….. oh would it not be wonderful to have the wonder of a child and the knowledge that this wonder is also Jesus , lovely post .